The Turks will stand with brother Muslims against the infidel. We know that. Being a member of NATO conveniently helped them keep the Russians at bay and sometimes it's necessary to pick between the worse of two infidel groups. The marriage between the US/NATO and Turkey is therefore one of convenience and so long as it works for both parties, and the US pays big bucks in "rent" of air base space and "baksheesh" (bribes) to appropriate officials, there is an understanding. 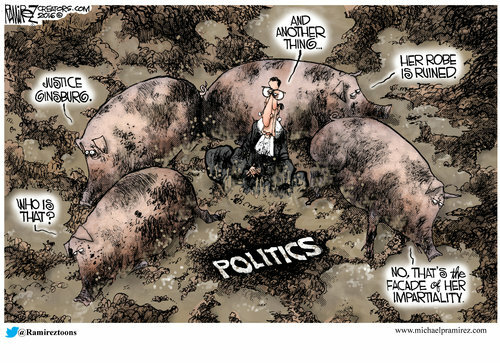 An autocratic Muslim government is the default setting in Political Islam. It's what they prefer, and that has been demonstrated over and over again across the Middle East. The Turkish Constitution calls for a secular government that is overseen by the military as the custodian of freedom. After the events of last night, they're going to need to consider re-writing that document because there will be a purge of all the freedom loving, secular army officers -- executions in front of pockmarked walls. Of all the Islamist groupings, the Turks have always been my personal favorite. I get along with them, see their perspective and to the extent that an outsider can, I understand the culture. But I have no interest in traveling there these days. After the Turks balked at allowing the 4th Armored Division to land in Turkey and cross into Iraq (First Gulf War), I reconsidered their position in regard the US. When traveling to Germany, take note. You will see more Turkish flags flying in that nation than German flags. What does that mean? 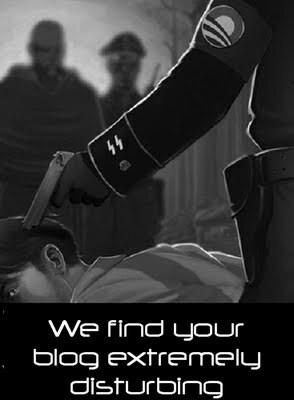 Who really runs Germany? One might ask whether they'll suffer the same fate in terror-ridden France or if that territory (Germany) has already been ceded to Islam? The lack of terror attacks and the vast number of rapes of German women (ignored by the press) suggests who is in charge there. France needs to get more serious about security and it has to come down to vetting and expelling. I realize that's a gargantuan task, given that the French have been so welcoming to Islamists for so very long. Time to fix the mistake, or just as Pres. Hollande said, "get used to terror attacks on the streets." I don't have much more to say about it. (Fox News) SEDRO-WOOLLEY, Wash. – The sheriff of a county about 70 miles north of Seattle says a restaurant owner has asked that law enforcement no longer dine there. 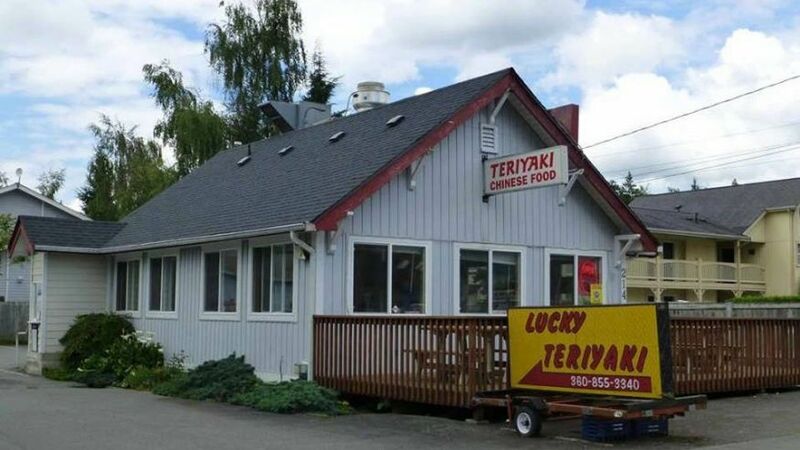 Skagit County Sheriff Will Reichardt said on Facebook that after four deputies finished lunch at Lucky's Teriyaki in Sedro-Woolley Thursday, the owner asked them not to eat there anymore. Reichardt says the deputies were told that customers didn't like law enforcement there. The sheriff says his chief deputy called the owner later Thursday and says the request was confirmed along with a request to spread the word among other law enforcement agencies. Now that nobody but dirtbags go to Lucky (not quite so lucky) and the owners have been boycotted by the small town, they are saying that it was all one big mistake. Small, one-off family businesses such as Lucky Teriyaki rely on the good will of the public in a small town, particularly when there are other restaurants in town selling the same fare. It was a bad move on their part and I don't know how successful they will be walking it all back. I went on Yelp and apparently there are death threats from locals against the business, which is not comfortable that the Sheriff's Department will promptly respond if called. Karma kicked over their dogma. My neighbors on the one side are both lawyers, and they rent the place. They are also black. I asked them if they were going to drive their late model Mercedes Benz automobiles to the closest rage day event to protest. James just shook his head and said, "LL, those are just a bunch of worthless niggers. Why would I have anything to do with them?" Why indeed? "What about the criminal referrals you could get from them if you mingle?" He chuckled, "Well there is that." (CNN) Supreme Court Justice Ruth Bader Ginsburg said Thursday she regrets remarks she made earlier this week to CNN and other news outlets criticizing presumptive Republican presidential nominee Donald Trump. Justice Ginsburg (83) may be a bit senile. She really doesn't like Republican Party nominee, Donald Trump. Ginsburg's remarks to CNN as well as to the Associated Press and The New York Times created a highly unusual week at the Supreme Court. Not only was it unprecedented for a member of the current court to delve so deeply into a presidential campaign, but a statement expressing regret is also quite rare. "Justice Ginsburg of the U.S. Supreme Court has embarrassed all by making very dumb political statements about me. Her mind is shot - resign!" Trump tweeted. Ginsburg was appointed to the high court by President Bill Clinton in 1993, and is now the senior member of the liberal wing and leading voice countering conservative Chief Justice Roberts. Eric, from Ammoman (your first stop for on-line ammunition purchases) asked me if I would review some of the ammunition that they are selling. I'm happy to do that here on the Virtual Mirage Blog. An excuse to go to the range and shoot? No, I don't need an excuse, but this provides a compelling reason. Feed my addiction AMMO MAN! 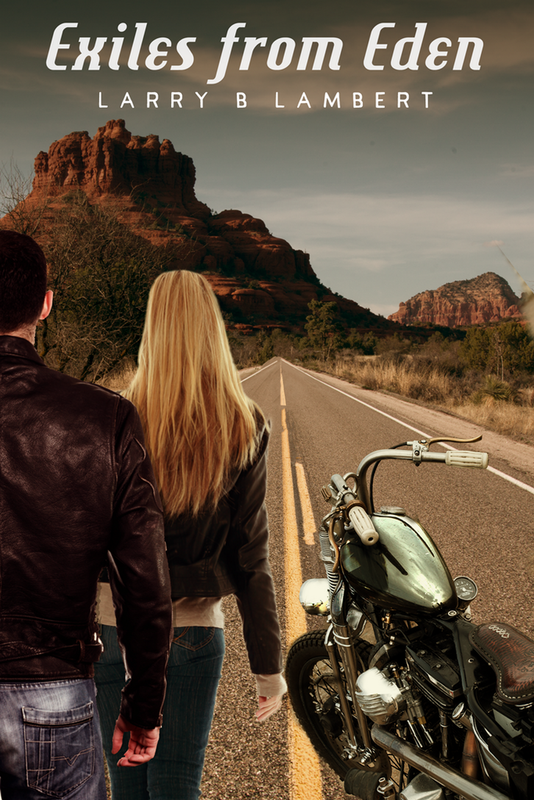 In order to conduct the test properly, I traveled to Arizona to shoot. Don't fret, it's a 3 hour drive. It takes me as long to drive 40 miles into Los Angeles during the morning rush as it does to drive 210 miles to Arizona, but I can put cruise control on when driving to AZ in the Ford Raptor, with the music cranked up. Testing took place between 7:00 and 8:30 am (to avoid heat and the breeze that throws off hyper accuracy, which is what was at stake here). By 9:30, it was 95 degrees and time to pack up and head back for the coast and those naturally balmy breezes that Orange County California is heir to. Both rifles have Schmidt and Bender Police Marksman 2 rifle scopes. Notes: My standard go-to war shots for these rifles is the Federal Lake City Match 175gr HPBT XM118 Long Range primarily because I like to engage paper targets at the outside of the .308 effective range (700 meters +) and the cartridge is designed for that application. I also shoot .308, 168 Grain HP-BT - Federal Premium Sierra Match King Gold Medal. Thus the comparison PMC ammunition. The lighter 147 gr. bullets had a different Point of Impact (POI) from the Lake City Match (sighted in) as one would expect, but the groupings were impressive at 100 meters with both rifles, achieving an average 1.5 MOI with the LRP-07 and 2.25 MOI with the Barrett MRAD, firing three round groups. I did not fire 7.62X51 through the LRP. 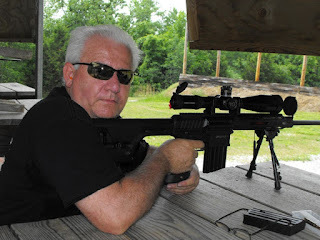 I tested both sets of ammunition through the MRAD and they performed substantively the same. Any variance was likely due to shooter error. "Although not identical, the 7.62×51mm NATO and the commercial .308 Winchester cartridges are similar enough that they can be loaded into rifles chambered for the other round, but the Winchester .308 cartridges are typically loaded to higher pressures than 7.62×51mm NATO cartridges." The LRP has a heat sink on the barrel, providing the same results with a hot bore as with a cold bore. The MRAD groupings were made after firing ten rounds, slow fire, to heat the bore and provide uniformity. I am impressed with the PMC ammunition a standard hunting ranges. The test was at 100 meters, but the groupings were good at 300 as well. To make things a bit more interesting, I fired the PMC .308 ammunition from the LRP at targets at longer ranges (600, 700 and 800 known distance targets). As expected, they did not meet the standard set by the XM118 cartridges, but nobody would expect them to. 1. Glock 21 Gen 1 (.45 ACP) with internal modifications including a tougher recoil spring to compensate for +P and +P+ ammunition, a titanium guide rod in the recoil mechanism and a one-inch longer-than-stock Lone Wolf barrel. 2. Kimber Raptor 2 (.45 ACP), stock Kimber, Colt 1911A1 style handgun. Going into the testing I wondered how the Winchester FMJ ammunition would cycle in the Model 21, modified to cycle hotter ammunition with more recoil. I have fired standard Orange County (CA) Sheriff's Department range ammunition through that pistol (with the original barrel and the longer Lone Wolf barrel) without any problems, but you never know. The Glock has had well over 10K rounds fired through it. The focus of the test was to determine whether the training ammunition would print the same as the duty ammunition. One common faulty training habit is to practice with one type of (usually hardball) ammunition and carry a different type jacketed hollow point that has different recoil and POI characteristics from what you train with. It's an economic thing and we all fall prey to that from time to time. Winchester's solution was to offer two (different price points) types of ammunition that would offer the same recoil for training purposes as it does for combat purposes. The Winchester ammunition performed as advertised and I found no difference in recoil or grouping between the training ammunition and the duty ammunition. Will I cast off my Hornady Critical Defense +P or my custom load +P+ ammunition for daily carry? Possibly not, but that's just because I want a .45 ACP cartridge that shoots about 200+ FPS faster. Note: In my career, varied and convoluted though it has been, I've fired hundreds of thousands of rounds of ammunition on duty and far fewer as a firearms enthusiast. Vastly more have been been fired in training than in combat situations, but let me assure you that you are far more aware of the value of accurate fire when the "targets" are shooting back at you.